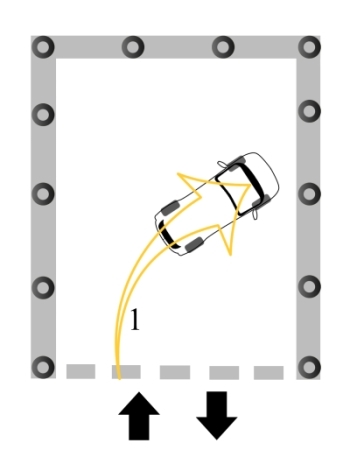 Among the 3 aspects you have to do in Part II of the Practical Test (Slope, Side Parking and the 3 Point Turn), the 3 Point Turn maneuver seems to be the easiest to perform. But do not be surprised. Sometimes what is deemed to be the easiest, may cause many a candidate to fail. There has been cases where a candidate of mine has had to do this part of the test 3 times before she could finally get through it and eventually got her D License. Surprised, but you had better believe it. As a matter of fact, some testers or examiners have been found to be a little bit on the strict side when it comes to this particular aspect of the test. As such, it is hoped that you would take more pains when learning this unusual maneuver. For the 3 Point Turn aspect of the Part II Practical Test, a candidate is given 3 minutes to perform it. Unless you are slightly older and your movement a little bit slower, the time given is more than enough. What then causes a candidate to fail? Actually, there are a few things you have to be extremely careful about. The 3 Point Turn has to be a “continuous movement” from the left until the right where you stop approximately a feet from the row of sticks in front of you. You are allowed to stop only once. Inching your way forward another step will cause you to Fail. Like wise, having reversed and stopped and if you feel you can still go back a bit further, you will Fail. When you do this, you would have deemed to have made more than 3 movements that’s allowed for you to perform this aspect of the test. Besides stopping, if the car should “stall” (its engine dies off) you will be considered as having failed as well. In all, a candidate is given 3 minutes to complete this part of the test. Besides ensuring you do not hit any of the sticks while entering the somewhat large quadrangle area (approximately 20′ x 30′), neither should you hit or “touch” any of the row of sticks in front. My advise is when you have stopped one feet from the front sticks, do step your brakes to ensure the car does not move at all. Before you reverse backwards, ensure you turn the steering all to the left and likewise when you turn to the right, you have to ensure the steering is turned maximum to the right before moving forward to go out. There have been cases where students have been failed for not doing as advised above. Another thing you have to remember, at no time should a candidate stop in the quadrangular area to give way to other vehicle outside the 3 Point Turn area. Should you find another vehicle outside the quadrangular area blocking your path, you should make it a point to stay put, do not move for moving and then stopping to avoid hitting another vehicle (albeit to prevent an accident happening) will only cause you to Fail in the process. All in all, the 3 Point Turn maneuver is a simple thing to perform, yet many have found it to have given them much headache and problems in their quest to attain the C.D.L. (D) Class License. As a driving instructor of many years experience, nevertheless, it is impossible for me to remember everything to tell you in this article. So you have to resort to securing a little bit of assistance from your own instructor as well. Hopefully with his help and mine too, you will overcome this 3 Point Turn episode. Hi. It is very unfortunate to know that i am one of the minorities who have problems passing the 3-point turn. I can do anything else pretty well but i failed my test twice in this part of the test. I will take additional class this week and going for another test next week. I do hope I will do it correctly this time. Thanks. As I said in my article, a student of mine needed 3 times to finally pass the 3 point turn. Such things do happen. sometimes when i want to reverse my car, the car will move forward a little instead. why is that? and will that cause me to fail in my 3 point turn? You must step on the brakes while you turn the steering. Yes, you will fail, if the car moves forward. 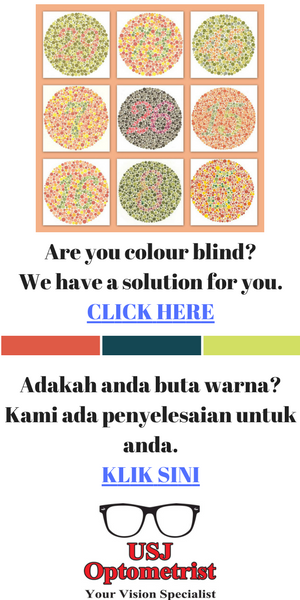 Hi cikgu yap. I wonder how many rotation of the steering if i turn from middle to left/right? I always find problem when turning back the steering into original straight position as i forgot how many number of turn i madeeventually. Hi Cikgu Yap, I just want to ask you a question: when do I need to brake when reverse backward? Sometimes I did not reverse much and as a result, I knock down the front pole when going out the quadrangular area. Any advice? If you fail to reverse for back enough, you will obviously knock the front pole while coming out. Do not fear. Stop the car near the front pole, turn 2 rounds of the steering to the left, reverse backwards approximately 1 to 2 feet, stop, then turn the steering all to the right. You should be able to go out of the rectangle safely. Look as if your instructor has failed to teach you the side parking well enough. Hi cikgu yap,i just took my jpj test and i failed the 3 point turn.When i was reversing,i turned my steering all to the left but the front right of the car hit the corner pole when reversing.How do i avoid this? When I reverse the car in three point turn, the car will moving a little forward because the land have a bit slope, so will I failed in three point turn? You could possibly fail, unfortunately. Well like everyone else that commented unfortunately i’ve joined the club in failing this part of the test. Is there a way that can prevent the car from moving after you made your first stop? Your 3 point turn steps are all correct. Your only problem is your car moves forward when you release the clutch. To overcome this difficult problem, I suggest you pull up the handbrake then. The only problem is, you have to remember to disengage the handbrake when you wish to reverse. Otherwise your car will stall and you’ll then fail. Finally, be calm and do not panic when doing your 3 point turn. cikgu yap , when i reverse out then my car almost hit the pole . should i turn all my steering to the left before i reverse or when the car starts to reverse only i should turn ? I failed my test on the road because the he said my car touched the divider . will this cause someone to fail? Turn steering all to the left before reversing. Hitting the divider will cause one to fail. It’s an accident. Hi Sir, may I know that when we are turning in, do we or can we step slightly on the accelerator? My instructor kept telling me not to step on the accelerator but when I tried not stepping on it but the car stalled (engine died) after I let go some clutch. Hope that I can get some advice from you! Thank you! You can very well step on the accelerator. Nothing wrong with your procedure.